Taylor and I received some exciting news this week – we’re officially IN for Berlin 2015! Although we missed out on the initial lottery, we secured entry through a travel agency that lumps race entry into lodging costs. Overall, it was not much more expensive than paying for a hotel a la carte. We’re planning to head straight to Oktoberfest after the marathon and then to another destination – Paris and Prague are early contenders. We have plenty of time to train, and we both plan on smashing our previous PRs come race day next September. I will let Taylor chime in with her time goals, but I’m throwing it out there now: Berlin is a PR-friendly course and I’m gunning for sub 3:20 as my A-goal, and sub 3:15 as my stretch B-goal. Game on! 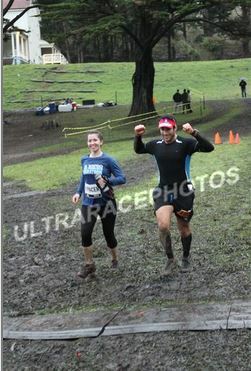 Readly for another mud bath on Saturday. For now, I’m focused on having a great race at North Face 50 miler on Saturday despite the fact that we’ve experienced rain of biblical proportions this week. Prost! 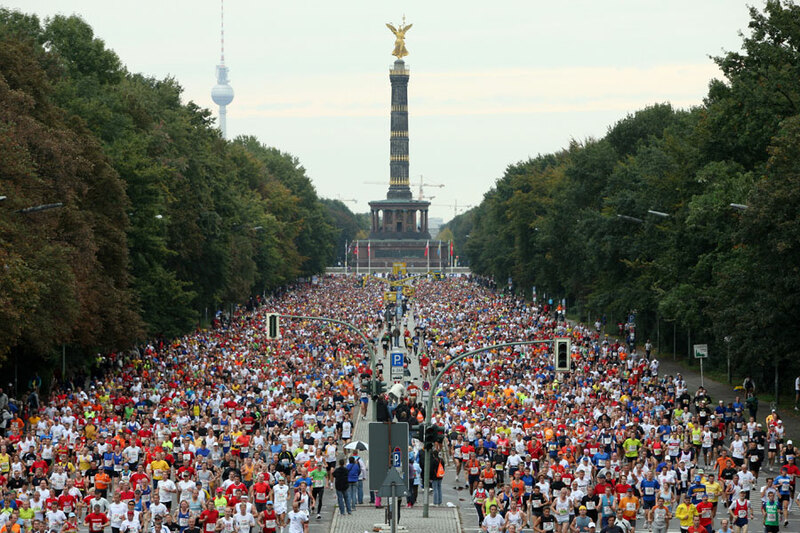 The Berlin Marathon. How cool!!!!! Congratulations!! It sounds like you are going to have a wonderful trip!! Awesome news! I need to put Berlin on my list it’s so close to me! I’ll see you at Oktoberfest after the race. Enjoy the 50miler, hope it goes well for you. Awesome, you’re going to Oktoberfest too? We should meet up! Sounds like a plan. I’m there opening weekend until Monday. 3:20, that’s a nice goal. Good luck to you! YES! Berlin is my only marathon and it was a total blast — and my husband and I also did the Oktoberfest trip after. Let me know if you are looking for any tips! Thank you! I could definitely use some tips and would love to hear more about your thoughts on the marathon! Are you running North Face this year? That is so cool! I’ve heard that is a very fast course! Have a great 50K this weekend! Thank you, Angie! New world record course! AWESOME!!!!!! Congrats! Can’t wait to follow along! Congrats congrats! I hear the course is awesome! Good luck this weekend!! Thank you Jessie! Appreciate it. Gah! So jealous!!! Super congrats 🙂 Good luck in the 50 miler! Hopefully the rain will stop and some of the wetness has a chance to go away. Yes! Great news!! That is going to be so amazing! Rich and I won entry in to the Düsseldorf Marathon next year, I don’t think we will be able to go but I would LOVE to race in Germany! I wish you won entry to the Berlin Marathon! 🙂 Either way, so awesome! Congrats! That is so awesome!! Talk about ultimate marathon training. Seriously – such a good reward at the end! That’s awesome! An amazing race and an amazing trip! Good luck this weekend, too! OMG!! So exciting!! I bet those goals change once you start training!! You are fast and it is a fast course!! We will see how things shake out in 2015!!! 🙂 Good luck this weekend! Have FUN!!! Woohoo! Congratulations! Running is such a wonderful excuse to travel 😉 Good luck on your 50-miler this weekend!! Thank you! And agreed, such a good excuse to travel. Congrats on being able to run Berlin! Have fun at your 50. 🙂 I was just looking at your personal records page and you have run so many races that I would LOVE to run! When we visited California a few years ago, I got a chance to run on the Dipsea Trail from Stinson Beach… dream come true for this PA gal! Thanks for sharing! I have read this race recap – it’s a good one!